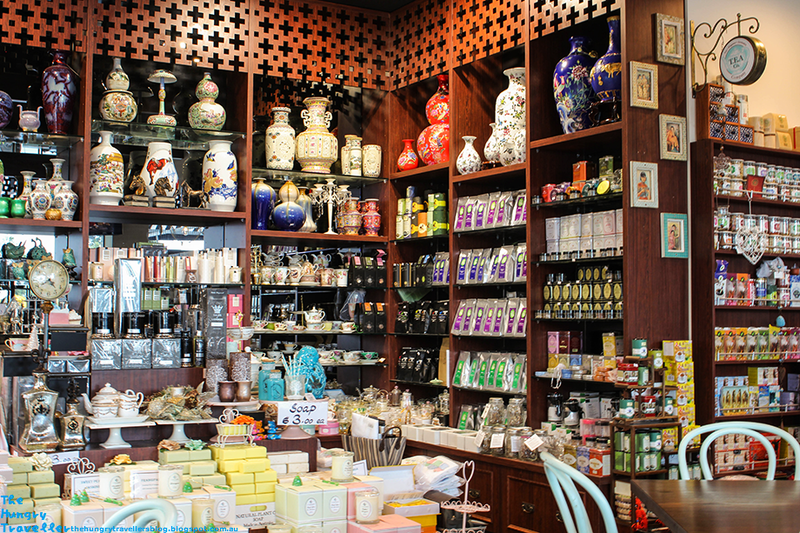 I've been meaning to visit the Tea Elegance and Aromatic Company (or T.E.A Company) for a looong time. I'd always walked past it when running errands and admired the beautiful teapots lining the windows of the store. So on my day off, I decided I'd visit the little teahouse with my sister. I like tea a lot, which was my main motive for visiting but I was also charmed by the little cupcakes in the display cabinet. Between the two of us, we ended up trying 3: Red velvet, Orange velvet and Lemon Squeeze. But I can't say that it was the best cupcake experience I'd had. I'll start with the green one, Lemon squeeze. The cupcake didn't taste much like lemon. Only the buttercream icing was slightly lemony. Also, I suspect that the cupcake given to me had been around since the end of December, as I noticed that it had a Christmas Tree decoration on it (The ones in the window had fondant heart decorations, which was kind of what I was expecting to get.) So the cupcake was kind of dense and hard. Don't get me wrong, it was edible and not stale or anything...it just wasn't very soft either. My sister said the same thing about the Red velvet one. It didn't taste much like the traditional mixture and the cake was not very soft. 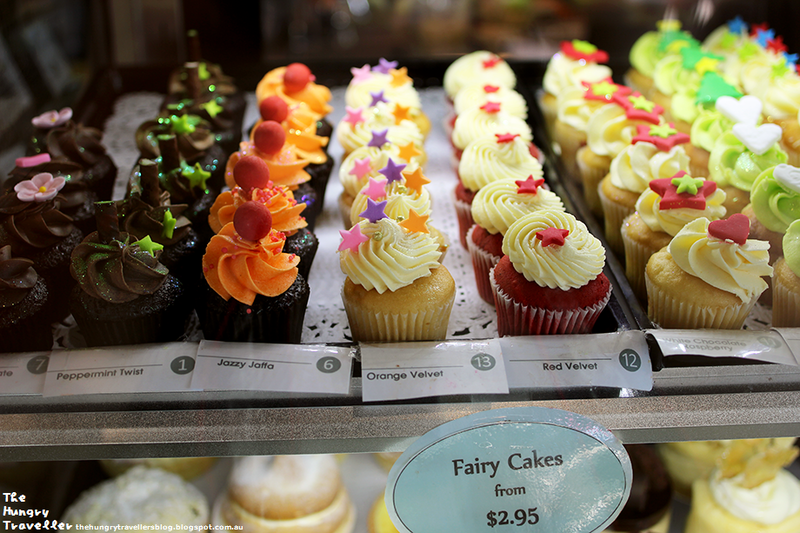 We shared the Orange velvet one, which turned out to be much more pleasant with cream cheese frosting. It didn't taste very much like orange either, but the cake was more moist than the others. 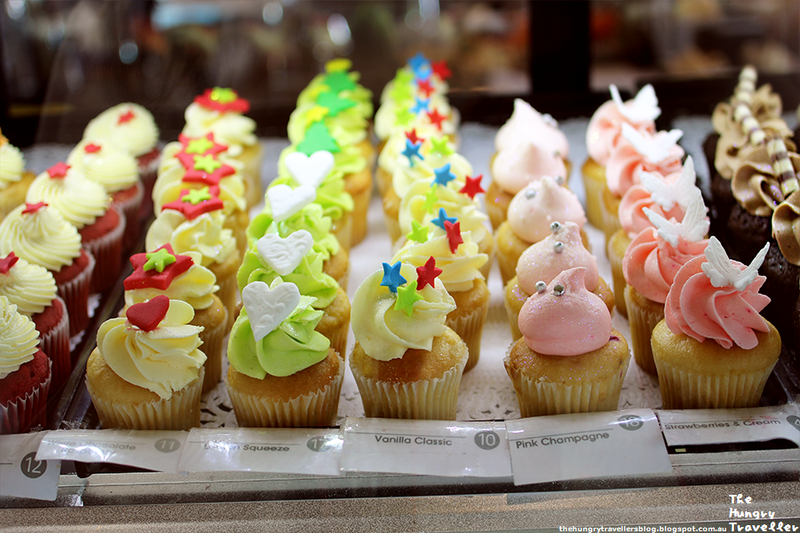 As pretty and as unique as the cupcakes were, they were not to my personal taste. I think my sister and I are a fan of softer, fluffier cupcakes. There are many other food items at T.E.A. The rest of the cabinet was stocked full of pies, quiches, tarts and cakes. A family next to us were trying the English High Tea, which looked alright. But my sister had just had lunch so we didn't try it ourselves. But I did go for some tea and really enjoyed it. Tea is pretty much my lifeblood. I probably drink tea the way other people in Melbourne drink coffee. I also happen to like floral Asian teas, so I was pretty stoked to discover that they had the kind of tea that blooms in your teapot. 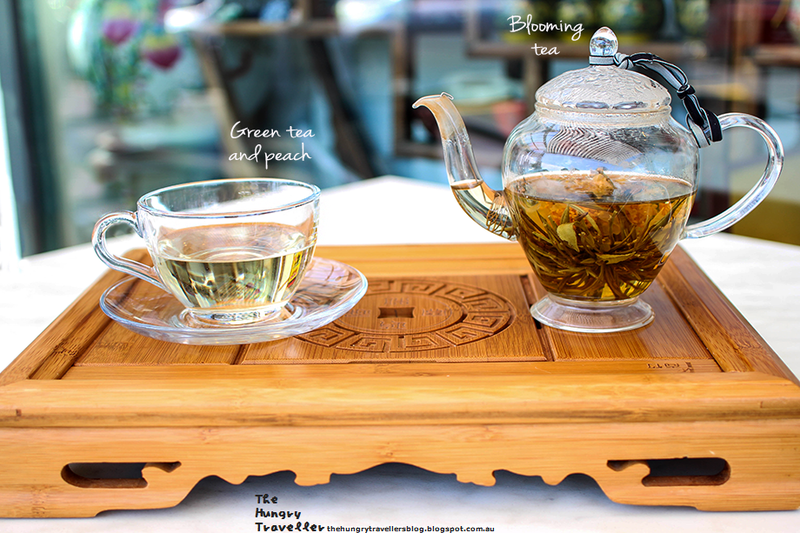 I selected the Green Tea and Peach flavour, which was nice and fragrant and tasted a little fruity. The weather was warm, so we took to the outside to enjoy their shaded seating. After we'd finished with our tea time, we had a look at the shop component of the cafe. There were lots of pretty Chinese trinkets, house decorations and tea-related presents for purchase. 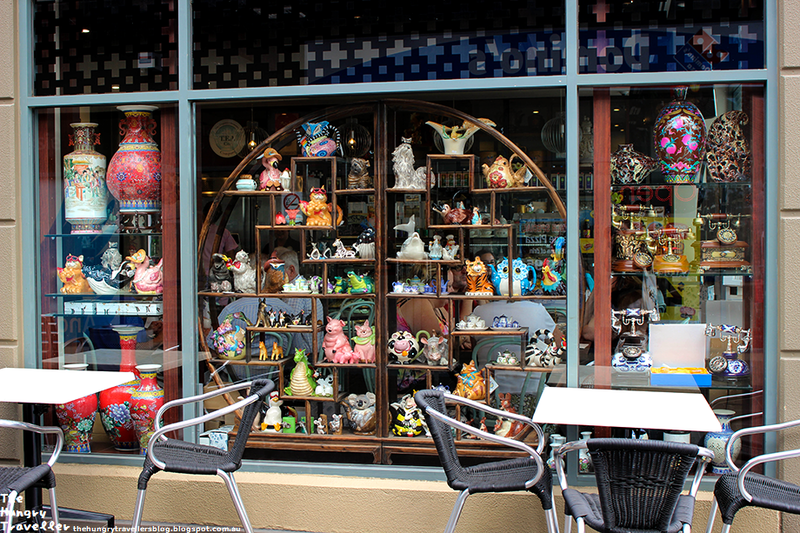 Before we left, I stopped to admire the window housing the collection of teapots. Such a colourful window! Overall, the space was pretty, the tea was enjoyable, but I was not sold on the sweets, which were a bit dry for my liking. Was it a nice place to visit? By all means, the service was pleasant enough and they were happy to refill my teapot, so I'd recommend the T.E.A company as a place to bring a book and enjoy a peaceful afternoon tea. Worth Visiting? Enjoy an afternoon tea, but maybe lay off the cupcakes, kids.